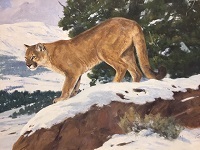 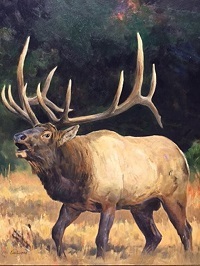 Ken is a wildlife artist, very hands on, traveling each year to view animals in natural habitat, studying animals behavior and capturing them in their full coat and prime physical condition. 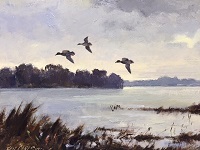 He observes them in various landscapes, light and weather. 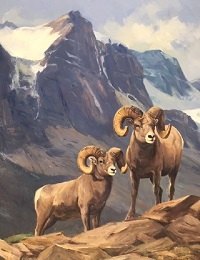 He has won awards and has had numerous exhibitions at major museums across the country, the National Museus of Wildlife Art, the Leigh Yawkey Woodson Museum, the Genessee Country Museum and the Glenbow Museum. 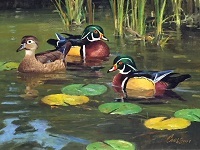 His works are beautifully displayed in his book "From the Tundra to Texas" and featured in "Texas Brushstrokes". 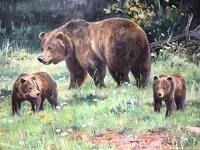 My familiy and I feel very fortunate to call Ken and Mary Lee our good friends.